On January 1, 2015, Paul B. Schabas assumed the role of Chair of the Law Foundation of Ontario (LFO). Since its establishment in 1974, the LFO has contributed over $900 million to improving access to justice including payments to Legal Aid Ontario and over $250 million in grants to non-profits. A Trustee since 2007, Mr. Schabas takes over the position from Mark Sandler, who served as Chair since 2009. 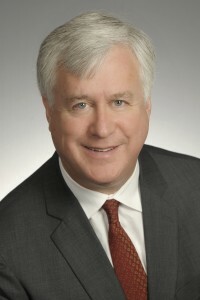 Paul Schabas was called to the Bar in 1986 and brings a wealth of experience to the position. A partner at Blakes, his practice is primarily focussed on complex commercial litigation. He is also a leading media and constitutional lawyer and is a Fellow of the American College of Trial Lawyers. Paul is an elected Bencher of the Law Society of Upper Canada, currently serving his second term. He is Co-Chair of The Law Society’s Access to Justice Committee, Chair of the Proceedings Authorization Committee and the Human Rights Monitoring Group, and Vice Chair of the Professional Regulation Committee. Paul is past chair of Pro Bono Law Ontario, and a Director of the Canadian Civil Liberties Association and the Osgoode Society for Legal History. He is also a past president of the Canadian Media Lawyers Association, and is an adjunct professor at the University of Toronto’s Faculty of Law where he teaches media law. Mr. Schabas is enthusiastic about his term: “I look forward to building on the significant achievements of my predecessor. It’s truly a privilege to participate in the LFO’s extraordinary efforts to improve access to justice. We will continue to work with the legal profession and our many community partners to help address the legal needs of people in Ontario”. The Law Foundation of Ontario helps people to understand the law and use it to improve their lives. It provides grants for access to justice initiatives, awards, fellowships, and supports the practice of public interest law and professional excellence.